The moving story of Ruth, with its themes of loyalty, lovingkindness (hesed), and redemption, is one of the great narratives of the Bible. The authors provide a critical, line-by-line commentary of the biblical text, presented in its original Hebrew, complete with vocalization and cantillation marks, as well as the 1985 JPS English translation. 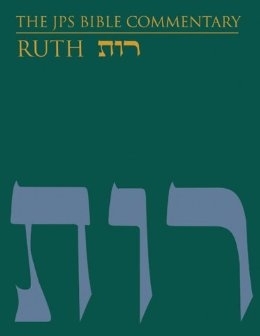 The extensive introduction places the book within its historical, literary, and critical context, discusses contemporary interpretations of the story of Ruth, and examines its major motifs and themes, among them: family, marriage and levirate marriage in biblical and ancient Israel, redemption and inheritance, hesed, and the book's connection with the Jewish holiday of Shavuot.